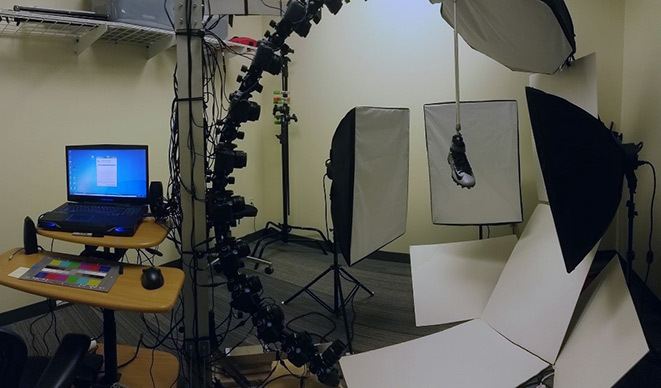 For player gear, like the shoes, we took this to our Prop Rig Scanning Room and captured over 250 photos of each shoe in every angle possible. Those photos were processed using software that turned these hundreds of photos into a 3D object of millions of polygons. 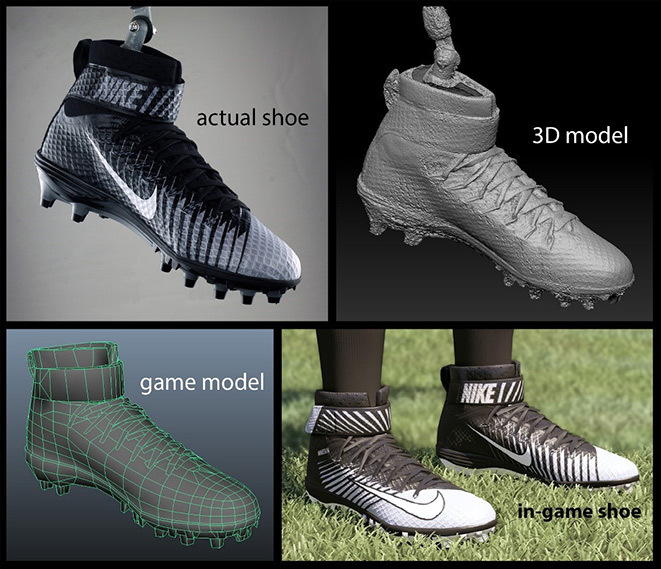 There are many more steps to get it functional in game, but for simplicity’s purpose, artists then reduced the amount of polygons so that it would run smoothly in the game engine and cleaned up any texture artifacts that showed up. 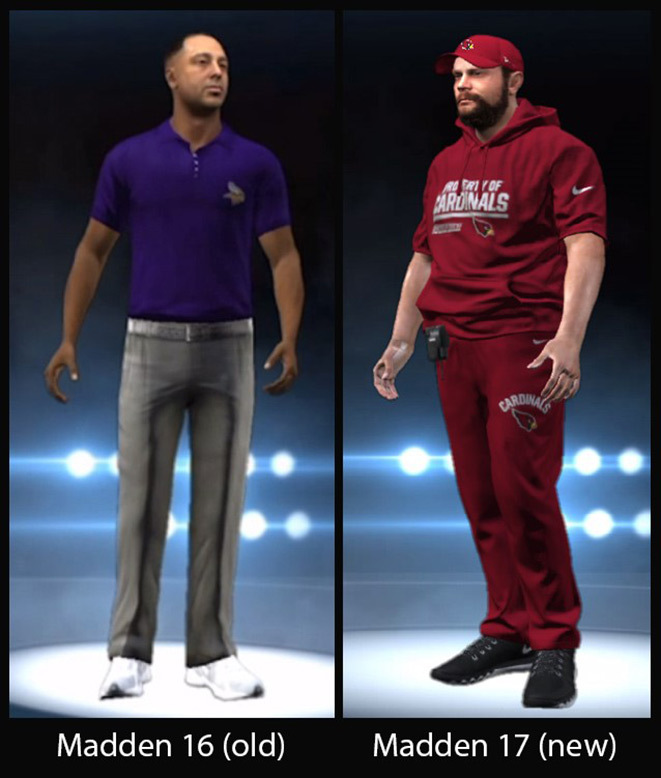 The visual quality improvements for the clothing of the coaches was powered by no other than a trivial Xbox 360 Kinect. That piece of hardware is capable of quickly providing a 3D scanned object, which we took full advantage of. We casted multiple co-workers with varying body types, wearing a closet full of unreleased Nike outfits for this project. By doing this, we increased the quantity and variety of clothing options by magnitudes over previous Maddens. 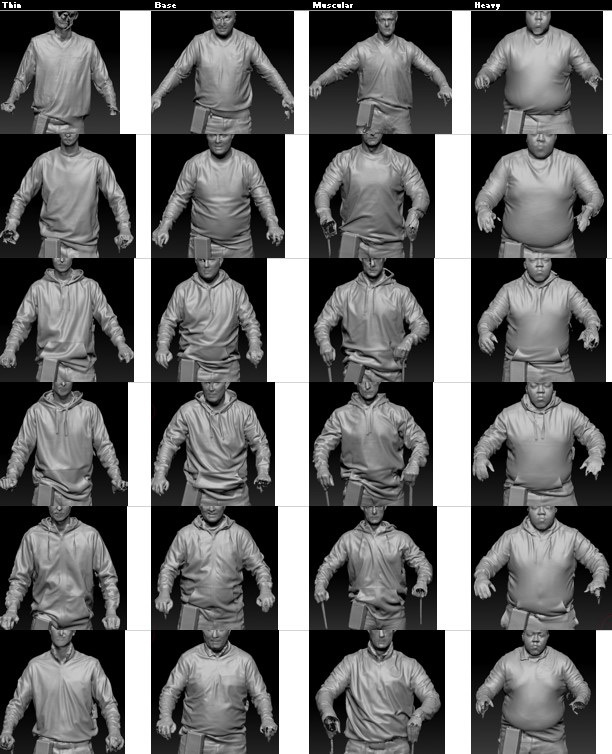 Here is a small sample of the 3D scanned clothing we captured. Check out the differences in quality and authenticity below. You can clearly see how much more natural the clothing appears in Madden17. Authentic logos were also properly placed on the jackets and pants to give it the final touch.